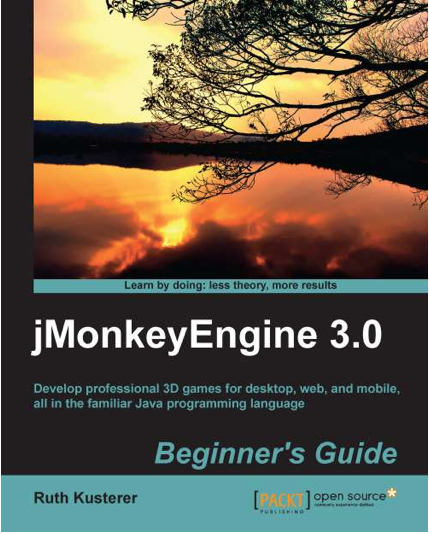 Is this an awesome jMonkeyEngine 3-based game or what? Glenn Marshall uses the jMonkeyEngine to develop Hexyle, a super awesome looking open-gaming universe. Hexyle fits into the growing category of lego-brick styles games like Minecraft and Mythruna. These open-world or sandbox games are non-linear, level-less, border-less games where players set their own goals. You can tell by my use of three negations that this concept (allthough around since the 80ies) opens up so many new game opportunities that we don’t even have words for them yet. Not all sandbox games are made up of voxels like Minecraft: Grand Theft Auto, for instance, is a sandbox game set in a city. Your game entities are physical “crash cars”, complete with guns, explosions, buildings, and ragdoll physics. Catch is, to create a cityscape sandbox you need to be a good 3D modeller… :-/ This is why the rest of us says Hello to procedural fractals, and fills up the world with docile voxels and polygons. I’m curious about the progress of multiplayer networking and the flexible gameplay that Glenn intends to add. The video that you see is not yet the finished game, but a demo + visualization that he created to attract funding. The Hexyle page doesn’t give us many details yet, so it’s hard to judge gameplay. For comparison, Secondlife also promised “in-game games”, but I never saw any. There was some gambling where avatars just sat there and pressed buttons. But I never saw teams of avatars who met and voluntarily ran through a parcour, or, defended a base, or played soccer. I assume the SL controls aren’t responsive enough for that, so that is one important feature that makes or breaks such an idea, especially with the added complexity of 3D. Another successful example of a game editor is Little Big Planet, a cute cartoonish Playstation game where you create your own interactive jump’n’run levels and parcour puzzles. If Hexyle’s interactions are planned to be similar and as easy to control, this could turn out to become popular.